Over the years, I have bought Kris a number of baseball-related books. Some have been peripherally baseball related, sorta like the movie For the Love of the Game is a baseball movie (for the record, it is not, it is a romance movie with baseball elements, it is not a baseball movie). Some were definitely baseball related. This one, however, is the first baseball book Kris recommended back to me. That's right, I bought baseball books for him, but hadn't actually read them. So, on his recommendation, I read this one. I didn't know Ankiel's story. In a few sentences: he was a baseball phenomenon, likely to be better than Sandy Koufax, who, depending on how your stats rank your pitchers, is considered the greatest pitcher of all time. Then he threw a wild pitch that got into his head, and he couldn't get it out. He tried, he failed, he left baseball, he came back a hitter and an outfielder instead. He had a good career. This book is his autobiography of that career. Many parts of the book read like the inner dialog of a person talking with himself, trying to psych himself up, convince himself that he can do this next thing, that the last thing wasn't so bad. 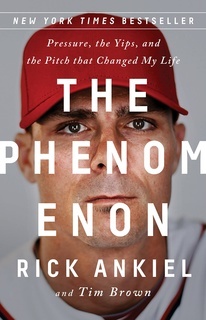 A result of the style of inner chatter writing and not knowing Ankiel's story is that I was really confused in the first two chapters. of the book. By chapter five, Ankiel had written enough of his story that I understood the why of this book, and was engrossed in the story. Had I been paying more attention when I was reading The Art of Fielding, I would have recognized Ankiel's name before reading this book, as he is mentioned. 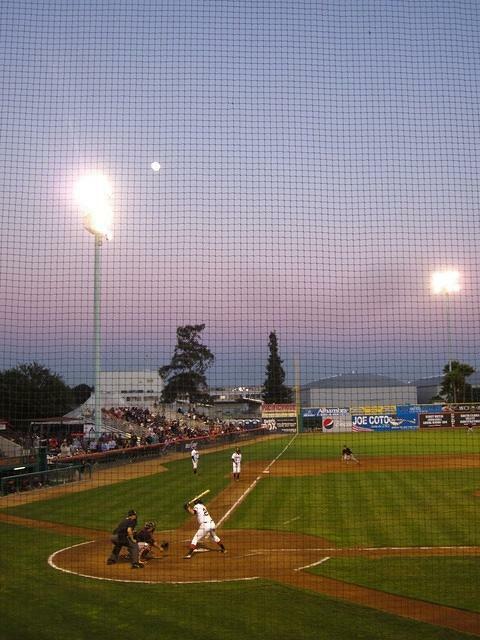 On an evening of baseball with Jackson and Kris, watching the San Jose Giants play the Bakersfield Blaze. "In baseball, they don't make football analogies." If I didn't already know Kris' favorite sport, I would now. How do I pick these players? My next player wasn't in at all, either. How do I manage to pick players who aren't even playing. Did I mention I hate baseball? If not, let it be known that I hate baseball. The problem is, however, that Kris has so much passion for the sport, his love overwhelms my hatred and there's a net positive feeling in the house for the sport of baseball. Over the last eight years give or take, Kris has tried, really truly tried, to induce some sort of positive emotion in me towards baseball. He's tried to teach me how to throw a baseball, how to hit a ball, how to catch with a glove (note to self: do not catch the ball in the palm of your hand: it'll hurt like hell). He's even offered to buy me a glove, my very own glove. One that I can oil and stick under my mattress to shape. Aw, crap, did I just admit I knew more about baseball than just high cheese balls? Honestly, though, just because I don't like something, doesn't mean I'm not going to support Kris in it. To that end, I have purchased him various baseball movies (the Natural, Eight Men Out, Ken Burn's Baseball), and encouraged him to go to games whenever he has a chance. I've offered to buy him season tickets, though he's declined that one. A few days ago, Kris told me about a contest Major League Baseball is hosting, where participants select individual players on a daily basis such that the participant beats the all time hitting streak (which I actually knew was Joe's 56, I learn by osmosis even when I try not to). How hard can it be, I told Kris. Sign me up. Kris sat there for too long, his jaw on the floor. I was mostly to the Beat the Streak site by the time he closed it. My first pick was Alex Rodriquez, a sure thing in my mind. My second one was Ray Durham, of the Giants. THe man can hit, he's a starter, why not pick him? Because he was given the day off, that's why not to pick him. HE GETS FIVE GAMES OFF IN THE ENTIRE SEASON, AND HE HAS TO HAVE THE ONE I PICK HIM IN? So, Kris lures me into this game, a game where I'm guaranteed to learn more about players, their names, teams and stats than any other trick Kris has pulled, and my second pick doesn't even play. Meanwhile, Kris is at a two game streak. Punk. Read more about I mean, WTF? "Who wrote this crap? Who in his right mind would ask a woman to give up everything she is, everything she loves, the very essence of her being, for him? I mean, how could you even ask that of someone?" "Well, you start out with, 'Hey, bee-yotch!'" "Wait a second. You mean, if I asked, you'd give up baseball?" "Yeah, baseball. Like, never talk about it. Never watch another game. Never read another book about baseball. Never draft another fantasy baseball team. You'd do it?" "Well, if you started with, 'Hey, bee-yotch!'..." Read more about Give up baseball?